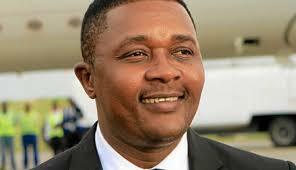 FORMER Tourism minister Walter Mzembi, who is facing criminal abuse of office charges involving $1,6 million, is reportedly seriously ill and is unlikely to stand trial anytime soon, his lawyer told the court yesterday. Mzembi’s lawyer, Job Sikhala, told magistrate Hosea Mujaya that he travelled to South Africa on Saturday to assess the former minister’s health and realised that he was not responding to medication. However, the State represented by Brian Vito told the court that they were seeking to separate Mzembi’s case from that of his co-accused, Aaron Mushoriwa and Susanna Makombe Kuhudzayi.